This is the winning combination underpinning RIPOL’s success and which has made it a reference point on the European market. A driving force of sustainable growth while, at the same time, research and development and full attention to our customers’ needs has been inexorable. RIPOL’s success would not have been possible without the highly qualified team of researchers who, working alongside the suppliers of raw materials, application plants and major national and international research centres, study technically innovative solutions to meet our customers’ needs. 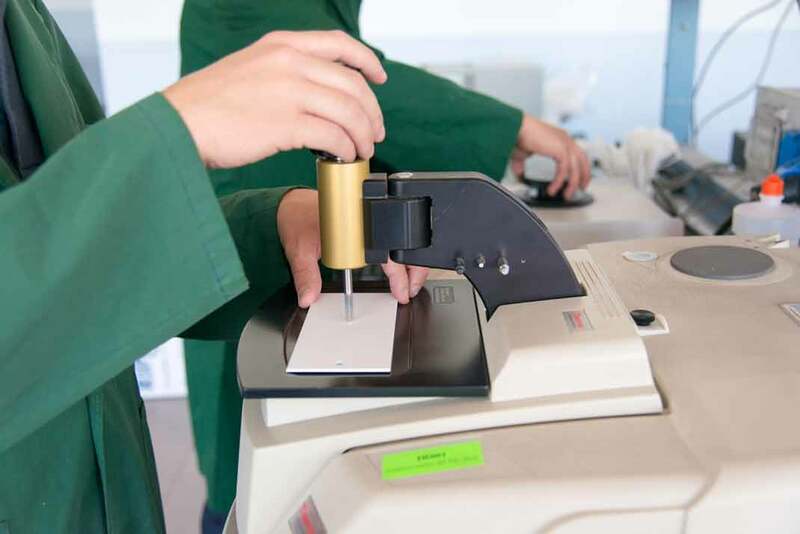 The laboratory is equipped with the most modern machinery including salt spray test, QV, IR, DSC, Xeno-Test and everything else needed for the mechanical tests. Each project is managed using state of the art software that enables all of the properties of the product to be recorded and the progress of the work to be monitored in order to achieve the objective. approval of the sample by the customer. To be able to achieve the ambitious aim of Total Quality without renouncing the flexibility needed to ensure full customer satisfaction, substantial investments have been made in technologically ultra-modern machinery and in a fully integrated IT system (ERP, Quality Assurance, Production Progress, Management of technical and safety datasheets ). The raw material is ordered using MRP logics in order to achieve the maximum profit margin, reducing stock to a minimum. On arrival, supplies are first of all barcoded and then undergo strict quality controls: only those that meet RIPOL’s specifications are accepted and entered in the computer programme, available for withdrawal. The warehousemen can pick only the raw material planned for the production and accepted in the previous stage. Each weighing station has a computer, barcode scanner, label printer and weighing scales. All of these are interconnected and interfaced with the system. The order is displayed directly on the personal computer on board each order picker vehicle and is processed following a pre-set sequence. This computerized control has enabled RIPOL to eliminate errors during the weighing stage. Each container, identified by a unique barcode, is mixed in turbo-mixers. The premixes obtained are extruded using state of the art machines following the sequence set in the system, thus guaranteeing the traceability of the production lots. 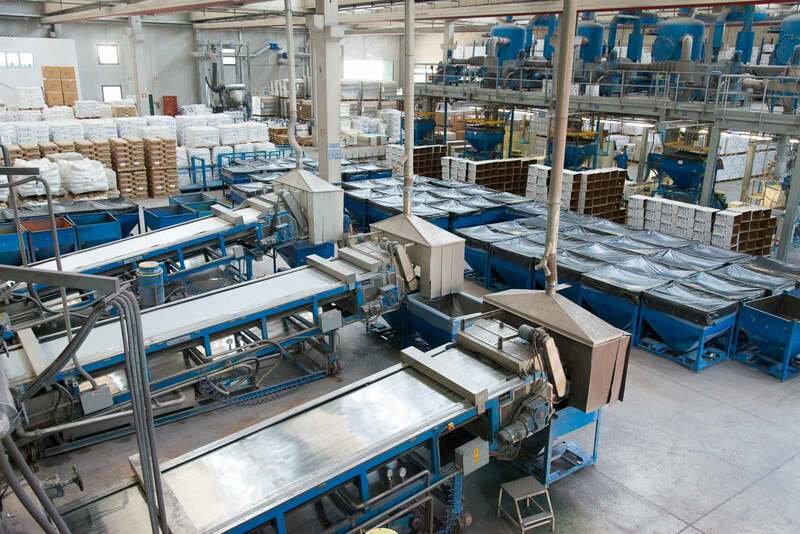 The grinding stage is performed by technologically advanced mills with controlled grain-size following the sequence set in the system; the products are then packed in cardboard boxes, cartons or big bags. The packages are identified with barcode labels and automatically loaded into a warehouse from where they cannot be picked before the quality assurance office has performed its controls. Only after the meticulous controls set forth in the control plans for each article have been performed, are the finished products made available for shipment. RF terminals are used for the shipments: in this way the issue of transport documents, test reports and technical and safety datasheets is completely automated and human errors are eliminated. To be able to meet the need for its customers to work just in time, RIPOL has set up a warehouse at its plant in Milan with approximately 1,000 tons of certified products in all of the possible RAL colours and finishes. 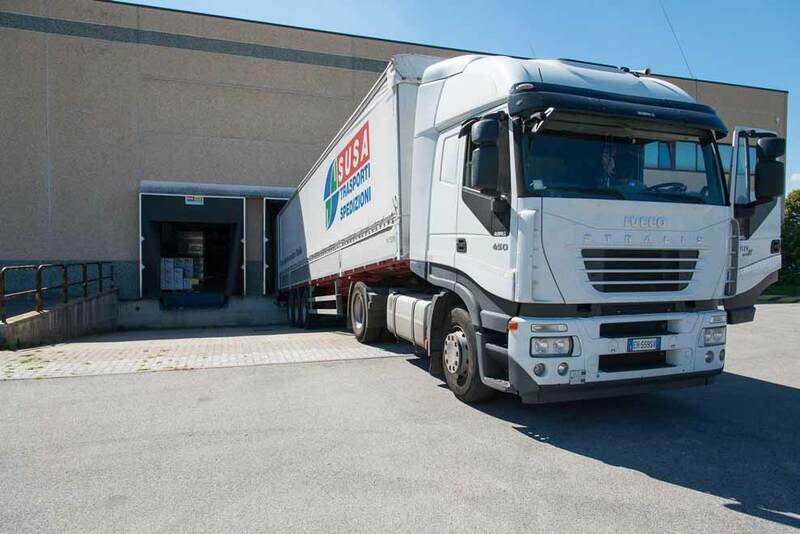 Carefully selected and qualified shippers guarantee deliveries throughout Italy and supply a network of warehouses in Europe which, in turn, make the local deliveries. In this way RIPOL guarantees an immediate delivery service throughout Europe.